Keeping Silent or Telling the World: The Wiccan Dilemma is a For Dummies article which, although it refers specifically to Wicca, is applicable to a range of pagan systems. 10 Baby Steps Out of the Broom Closet is what-it-says-on-the-tin, and is covered in the episode. 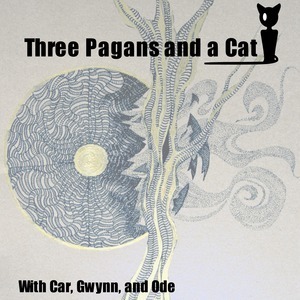 An Essay for School Teachers about Paganism offers suggestions about the differences a pagan child might present in the public school system. Paganism for Beginners: Magical Names is a Patheos article covering the basics of magical/craft names (and makes an important point about appropriation). Finding Your Magical Name is a Thought Co. article which veers a little judgemental, but has some good information, including the numerological method described in the episode. The Basics of Numerology is another Thought Co. article which covers numerology more generally-- Ode suggests that one might derive some inspiration for a name from the correspondences associated with the birth numbers.